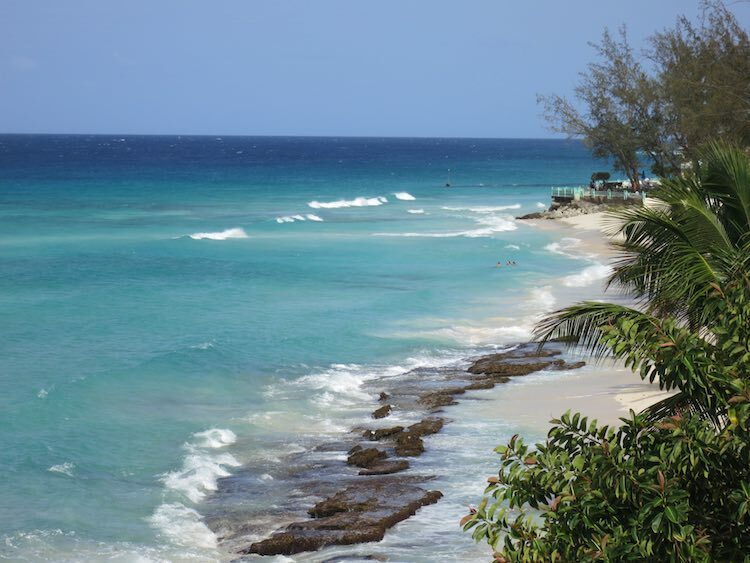 View of Sandy Beach from the veranda of my apartment in Worthing, Barbados – taken on Saturday morning, July 12. 2014. It’s the hurricane season, so a few storms around. But you can always find days like this one. At certain times of the year, the sea removes a lot of the sand and so reveals the rocks shown here. At other times, very few of these rocks are visible – and then Sandy Beach really deserves its name.